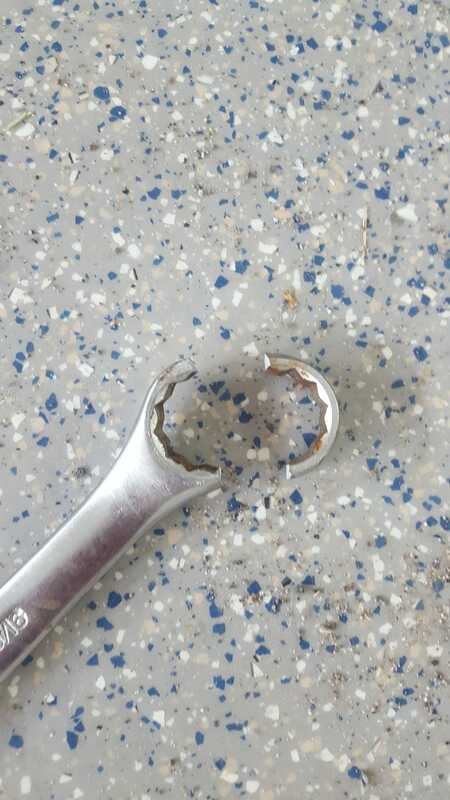 Anybody ever broken a wrench like this? I was working on getting a stuck bolt out and put this on the bolt side and wedged it so it wouldn’t turn. Placed ratchet with a 4 foot cheater bar on the other end and pulled. It shot across the floor, just missing me. I gave up and grabbed the cut off wheel. Edit: might be worth noting that I had to tap it on lightly to the bolt to get it to fit on the slightly rounded bolt head. I don&apos;t know much about reading spark plugs, but I think this is bad. Why you shouldn&apos;t ignore large stains on your drive way.